The decision to end a relationship is very difficult and stressful. When you need help understanding your rights and options, give our office a call. A Dissolution dissolves your marriage similar to a divorce, but it involves both parties agreeing to do so, and you both must agree on ALL of the issues in your case including custody and property settlement. In a dissolution, all of the paperwork is prepared, signed by both parties, and then filed with the court. You will both then have to attend a hearing for your dissolution to be finalized. 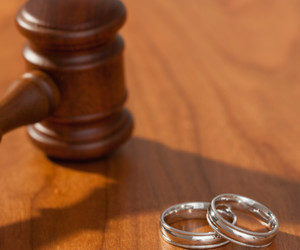 A dissolution is often less time consuming and less costly than a divorce. If an agreement can not be reached then a complaint for divorce is filed, and you will need legal counsel to protect your rights when it comes to custody, assets, debts, property settlements, child support, and spousal support. Our office offers a free initial consultation in which we will assess your situation and help you protect your rights.